Let $40 Earn You $80 a Sale! Start Your Own Business and Enjoy GREAT Benefits! MCA (Motor Club of America) has provided emergency road services to motorists for over 86 years. Our timely arrival and service gives MCA members the confidence in knowing our services are at their finger tip. Emergency reimbursement benefits of up to $500 for emergency room or trauma center treatment received due to injury of car accident. Daily hospital benefits of $150 a day up to 365 consecutive days due a covered accident. Accident death benefit options for you and your family. Legal assistance for moving violations, car accidents, bail bonds attorneys fees and arrest bonds. Travel assistance reimbursement of up $500 for vehicles disabled in a car accident. Travel assistance program for covered members more than 100 miles away from home and has a medical emergency. Trip planning and travel reservations including flight reservations, maps and brochures, and hotel and car rental discounts. Auto related discounts of 10% or more with participating companies such as Jiffy Lube, MAACO, AAMCO, Penske, Winston Tire, Meineke Muffler and more. $5,000 stolen vehicle reward offered to the law enforcement officer or any persons responsible for information leading to your vehicles recovery. Up to $500 for any law enforcement officer or any persons responsible for information leading to the arrest and conviction of the party responsible for the theft of live stock, implement trailer, saddle or tack or tractor(s) and other farm equipment. $10,000 paid to your estate from accidental death benefit if you die from injuries within 90 days resulting from a covered accident. Up to $1,000 in credit card protection. Prescription, dental and vision discounts with major participating providers ranging from 15-60%. The Excellent Benefits of Being an MCA Associate. 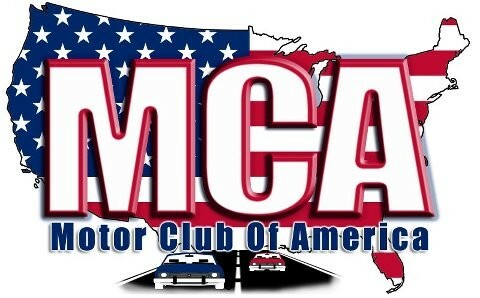 MCA (Motor Club of America) means business when it comes to paying out sales commissions to their reps. For every one sale you make, MCA pays you $80 or more. That's a 200% return on your initial investment! This happens every time you make a sale. Plus, you'll earn a monthly residual income from your members. Imagine earning 1 to 2 signups a day! That's $560 - $1,120 a week! You'll be paid weekly every Friday and have your commissions deposited into your bank account. On top of the awesome business opportunity, you'll also benefit from the outstanding assurance services MCA provides to each and every customer and associate. Receiving GREAT roadside service as well as other excellent services and discounts have given our MCA members a sense of security while on the road and away from home. By keeping your member ID card with you at all times, that one little tool can make a big difference. Don't forget, MCA also offers its members to become associates of the company and sale others the same services you benefit from. Once you sign up for an MCA membership, the option of becoming an associate is absolutely FREE! Earning a 200% commission on each sale you make should make anyone happy! MCA doesn't believe in offering inferior assurance and emergency services its members. They know the value of their services and those who become apart of the MCA family. Quality and excellence has kept MCA in business for over 86 years and has helped secure many people and families safety and financial security. Ready to join the MCA family yet? GREAT! Click the link below! Once you sign up, your MCA membership starts immediately and you can start making sales today! 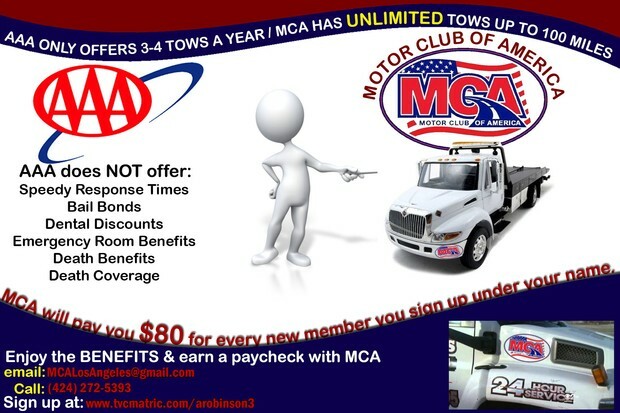 Join The MCA Family Today!